Finally, BSE Sensex closed at 26,560 up 117 points, while NSE Nifty closed at 7,936 up 31 points over the previous close. The Indian equity market ended with gains for the second consecutive trading session ahead of the F&O expiry on Thursday. Sentiment was on the positive side as the ongoing geopolitical tension in Israel, which was a major cause for concern seems to be finally ending as Hamas and Israel agreed to an open-ended cease-fire. The Nifty once again ended above the psychological 7900 mark as the oil & gas, banking, auto and select telecom stocks led from the front. Even the mid-cap and the small-cap indices ended with smart gains. On the other hand, the realty index was the top loser, down 1.3%. The power and metals stocks continued to remain under pressure, indices fell by 0.6% and 0.3% respectively. The rupee weakened against the US dollar and was trading lower at Rs 60.4 compared to the previous close of Rs 60.43. Wipro, HCL Tech, BPCL, ONGC, ICICI Bank, Tata Motors, Tata Power, GAIL, Jindal Steel and Indusind Bank were among gainers in Nifty. DLF, BHEL, Sesa Sterlite, IDFC, NMDC, Power Grid, NTPC and Kotak Bank were among the losers in Nifty. 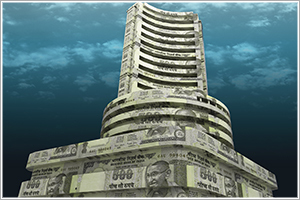 On the BSE, 1605 stocks advanced against 1383 declining stocks, while 119 remained unchanged. The INDIA VIX was down 6% at 13.06. It hit a day’s high of 13.90 and low of 12.74. Shares of DLF ended down by 4.5% at Rs183 on media reports that the Supreme Court directed the company to pay the penalty of Rs 630 crore within 3 months. Shares of GVK Power & Infrastructure surged 5% to close at Rs 13 after its subsidiary GVK MIAL was awarded the first land parcel for commercial development to Oasis Realty Private Limited for Rs. 580 crore. Shares of Havells India rallied 8% to Rs 296, after the stock turned ex-stock split on Tuesday.